This is what the checkout person at the grocery store said to me as she handed me my change. Her remark was the ‘something small’ that made my day yesterday, a day of many errands outside the house and much cleaning and packing-up once I got home. “Slippers and morning papers on the floor” it goes on. It’s called “Bounty” and it comes from Robyn Sarah’s collection of poems, A Day’s Grace, published in 2003 by Porcupine’s Quill. My ‘something small’ yesterday was what that woman said from her place behind the counter. 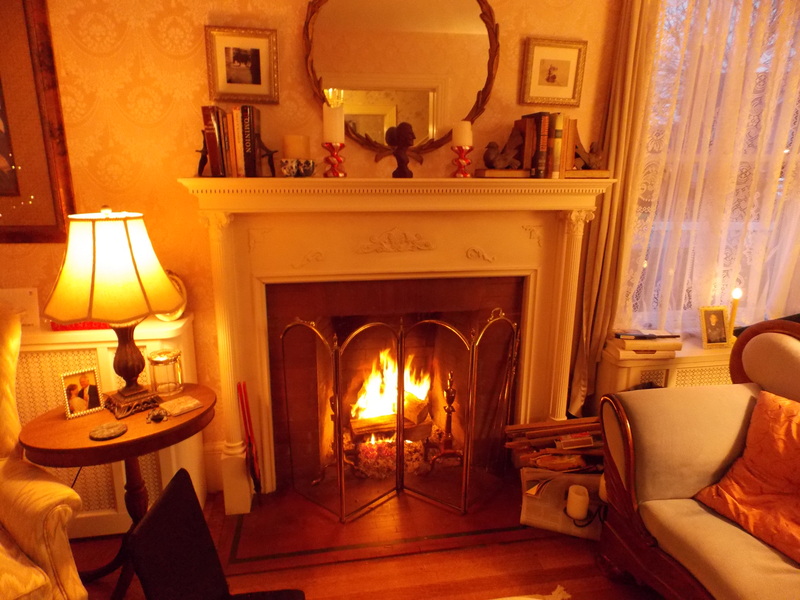 That and the memory of the fires we made in the fireplace in the days surrounding Christmas. Today’s ‘something small’ will be whatever arises in my mind as we continue to put away Christmas for another year, little knowing where another Christmas may find us. The poet’s advice is good and I would only add to it. “Talk to every stranger, and laugh every chance you get. And if you‘re intent on not partying too much ever, well, for heaven’s sake don’t work too much either! Happy New Year Terry! Your posts have given me much pleasure and lots to think about in 2012. Am looking forward to yet another year of your thoughts. Such a generous thing to say Jan. Readers like you are what keep is writers writing ! Got it…. Not going to work too much!!! Thank God for poets…. and bloggers. Happy New Year kiddo!! same to you Frank.. I loved the way the sun poured down upon us all! I love this post, Terry, glorifying the ordinary, exalting the present moment and everyone who’s in it, because it’s all we’ve got! i like that phrase, glorifying the ordinary ! NICE!